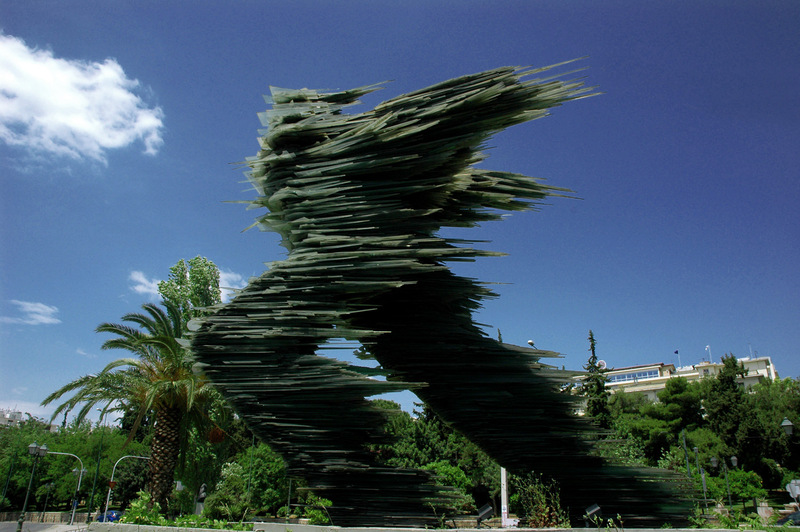 First completed in 1988, Dromeas or “The Runner,” is a 40-foot-tall public sculpture created by Greek artist Costas Varotsos. The densely layered work is formed from thousands of jagged shards of greenish-grey glass which are stacked around iron in the formation of a runner in motion. 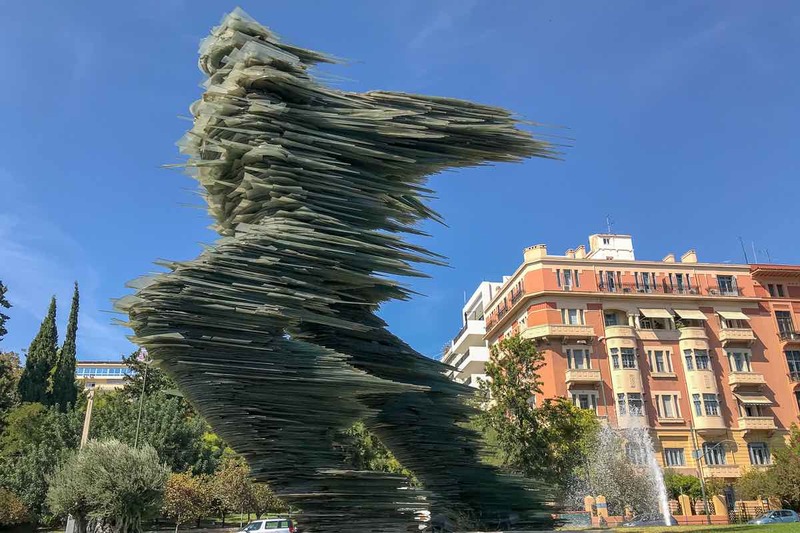 Originally the piece was installed in the Athens’s Omonia Square, but due to fear that it would topple from underground metro vibrations, in 1994 the city moved the piece to Megalis tou Genous Sholi square. 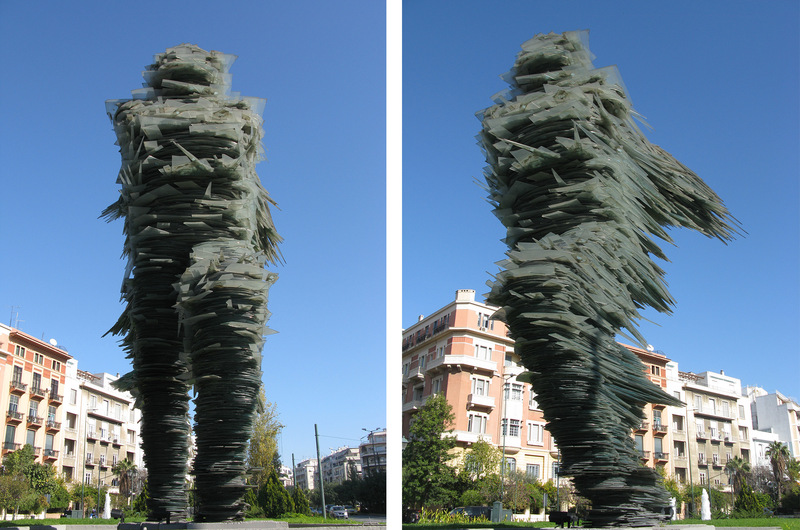 When designing the sculpture, Varotsos considered which types of movement occur in these public spaces and how they might impact the viewing of his work.